Welcome to the Syringomyelia Chiari Self Help Group for people with Syringomyelia Chiari in the Republic of Ireland. Registered Charity No. 10534. The self-help group was set up in 1990. We are a small group with around 100 members. Our membership is drawn from syringomyelia patients, their friends and relatives as well as other interested people. We believe there are approximately 400 people in the Republic of Ireland with syringomyelia as it affects around one in every ten thousand people. As a society we have a chairperson & board. Details of our annual general meeting are included on the news and events page. This is an opportunity for everyone to get together and chat as well as getting on with the business of the society as well as hearing the guest speakers who are regularly invited to come and give a presentation. · To raise awareness of this much misunderstood condition. · To provide contact and support for those suffering from Syringomyelia and related neurological disorders. · To co-operate with the medical profession in the promotion of scientific research into the cause and cure for Syringomyelia and related neurological disorders. · To exchange the latest information relating to Syringomyelia and related neurological disorders. 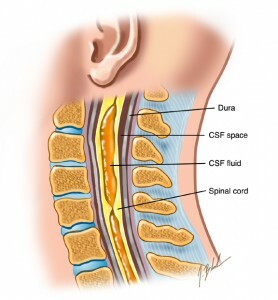 · To deliberate upon and consider all questions, problems and legislative measures connected with Syringomyelia and related neurological disorders.